Note that the air time of this episode in your local market may differ due to the scheduled State of the Union address. 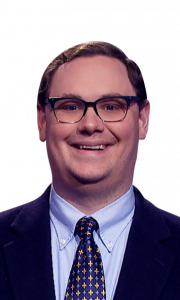 With a win today, Will will find his way onto our ToC Tracker! See where others stand on the tracker here! Correct response: What is the Pony Express? The Pony Express (also known as the Central Overland California & Pike’s Peak Express Company), was a system of U.S. mail delivery by continuous horse-and-rider relays. It ran between St. Joseph, Missouri and Sacramento, California, and cut the delivery time for mail from 24 days to 10. Each rider rode about 75-100 miles and changed horses every 10-15 miles. During its 18 months of service, only one bag was reported lost. Once the transcontinental telegraph was completed in 1861, the system ceased, as it was an expensive stopgap. Newspapers of the day portrayed the Pony Express’ riders as heroes, including “Buffalo Bill” Cody and “Pony Bob” Haslam. Cody, who later became famous for his Wild West show, was just 14 when he began riding for the Pony Express. An average of 4.1121 5+-time champions (standard deviation 1.6681). An average of 7.3862 4+-time champions (standard deviation 2.026). An early cutoff took place 7.972% of the time (or a 5-game winner will be left out). Will Dawson qualified 51.631% of the time. Anneke Garcia qualified 75.613% of the time. Dave Leffler qualified 54.034% of the time. Jonathan Dinerstein qualified 27.937% of the time. Alex Schmidt qualified 8.886% of the time. John Presloid qualified 2.064% of the time. Jackie Fuchs qualified 0.211% of the time. 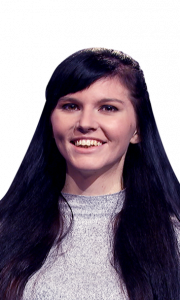 I feel as though opening the episode by joking about a contestant’s appearance is not the best way of opening a program, but Alex does what Alex does. Not that it hurt John much in the early going, he built up quite an advantage after the opening round! 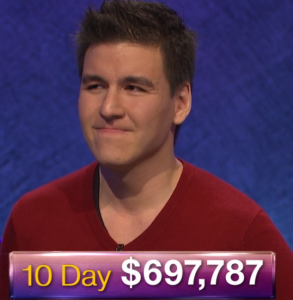 When you get 17 correct to your opponent’s 6 and 5 in Double Jeopardy!, get both Daily Doubles correct, and don’t have a runaway going into Final Jeopardy!, you’ve done something wrong. Will was much too conservative on his Daily Doubles. Much like Friday, when Meghan didn’t bet enough on her first one, Will made the same mistake. Having gone to THE L.A. PHILHARMONIC early in the round, it’s clear he liked the category. Then, the Daily Double came up in the $800 box. It felt like Will had just hit the jackpot. He had been dominating proceedings over the previous five clues (in fact, he was on a streak of 9 in a row!) and this would have been a perfect opportunity to really take control of the game. And then Will bet $1,000. 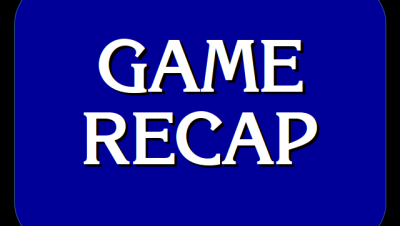 I was not a happy Jeopardy! fan. In fact, until Will’s performance in SUNNY “D”, it looked like John was going to be within two-thirds of Will’s score. Will does play very quickly, though, and that has been helpful for the show getting through most of the clues. Jade seemed incredibly nervous in spots; I wonder how well she would have done had she not been so nervous. Effective in first on buzzer stats: Will 51.92% (27/52), John 25.00% (13/52), Jade 23.08% (12/57). 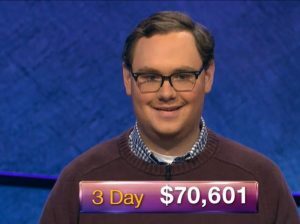 3 Comments on "Today’s Final Jeopardy – February 5, 2019"
None of them knew that answer. Wow! 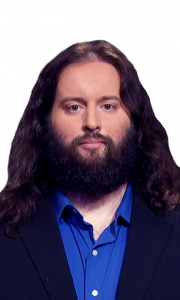 We got a triple stumper in Final Jeopardy as the 19th Century category is very evil to the contestants.